It was still early on March 3, 2017, the dark sky blanketing over the sleeping city of West Baltimore, Maryland. Kozy Kottage, an assisted living facility in the area was housing seven people at the time. That’s when the unexpected happened — a blaze erupted with heavy smoke and fire scorching the first floor. With the help of 40 firefighters, all seven people were pulled out from the small facility and the fire was contained within about an hour. Six of individuals were taken to the hospital in critical condition while one refused treatment. By the end of the day, two were pronounced dead. An additional two residents died in the days following. The cause of the fire was still under investigation at the time and an official statement hasn’t been released since. However, state inspection reports found that the assisted living facility didn’t conduct fire drills and there was no concrete evidence that the staff had adequate fire safety training. The Kozy Kottage fire has shown just how important emergency preparedness is for any facility, both big and small. Let’s dig into fire safety and how it can be applied in your community. Fire safety training is important for any establishment, especially for assisted living facilities that are home to residents that may not be able to protect themselves. By providing fire safety information to employees and residents and conducting trainings, administrators can help to minimize the risk of damage, injury, and death caused by fire. 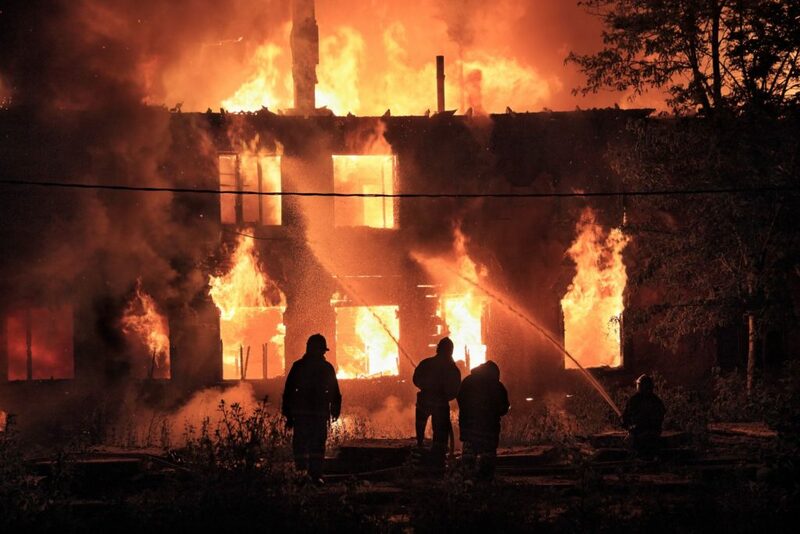 It’s important to know the type of fires that can occur so you can effectively extinguish them. Without a proper extinguishing method, a fire may spread and emergencies could become worse. Use our fire classes infographic to learn the five classes of fire and how they can be extinguished! If the fire alarm goes off in your facility, staff should be aware of how to effectively evacuate the building. The acronym “RACE” is a memory tool to help staff recall the steps. R — Rescue/remove residents that are in immediate danger. A — Activate the fire alarm or vocally announce there’s a fire emergency. C — Contain the fire by shutting all doors. E — Extinguish the fire and evacuate all residents to a safe area away from the building. Staff should be knowledgeable about how to use a fire extinguisher. They can use the acronym “PASS” as a helpful reminder. P — Pull the pin. A — Aim the extinguisher toward the base of the fire. S — Squeeze the handle. S — Sweep the extinguisher from side to side. What Happens If the Fire Alarm System is Down? A notice must be posted 24 hours ahead of time. The alarm monitoring company must be notified (local fire department, security company). An announcement should be made right after the system is taken offline. Walk-through inspections must be done every half hour, with department heads keeping an eye out for risk of fire. Once the alarm system is reactivated, the alarm monitoring company should be notified and an announcement should be made that the system is working again. Notify the alarm monitoring company that the alarm system is not working. In the event of a fire, staff should verbally communicate that there’s a fire and begin an evacuation sequence. All doors should also be closed. Once the alarm system is back on, the alarm monitoring company should be notified. Installing Sprinkler Systems — These systems may help extinguish fires, helping to minimize damage and possibly eliminate injury and death altogether. Using Noncombustible Materials — Steel, metal, and concrete won’t ignite and spread fire like materials such as wood. Incorporating Smoke & Fire Barriers — Barriers help to keep smoke and fire from spreading, allowing staff and residents to evacuate safely. Upgrading Kitchens — Many new appliances have safety devices that help prevent and/or extinguish fires if they occur. Separating Laundry Rooms — Since these rooms house soiled linens and heated devices, it’s best to place them as far away from residents and staff as possible. If a fire breaks out, fewer people have the potential to get hurt. Grease-soaked towels were placed in a dryer, which ignited with the dryer’s heat. Oil-soaked rags were placed in a kitchen trash can and they spontaneously ignited. An electronic device on a caretaker’s bed ignited a paper and bedspread. A staff laptop computer overheated and ignited the computer case. A resident was smoking while using oxygen, which started a fire. Take note from some of the senior care facilities that have endured fires. What could they have done better to ensure the safety of staff and residents? You can also look at some facilities that have exceptional safety programs to see what you can revise in your own community’s plan to make it better. Staff Training — Staff should be informed of fire prevention tactics, lock-down procedures, and equipment usage. Resident Training — Residents should also be aware of what they need to do in the event of a fire drill or actual fire. Conducting Fire Drills — Practicing fire safety procedures will ensure that both staff and residents are adequately knowledgeable and prepared to handle a fire emergency. Evacuation Procedures — If your entire community needs to be evacuated, there should be a step-by-step plan in place so all individuals can get out safely. If there are leaders appointed to perform certain duties, the plan should be reviewed and updated at least once a year or with employee turnover. Equipment Inspections — Make sure that all fire extinguishers, sprinkler systems, and alarm systems are regularly checked and maintained so that you can ensure they’ll work in an emergency. Use our Emergency Preparedness Manual to effectively develop your fire safety plan!